Written by Mark Forrester on August 12, 2009 Blog. 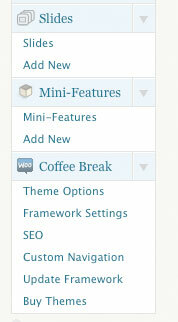 Coffee Break has been upgraded to take advantage of the new WordPress 3.0 custom post type functionality, so adding slides and mini-features is a breeze! 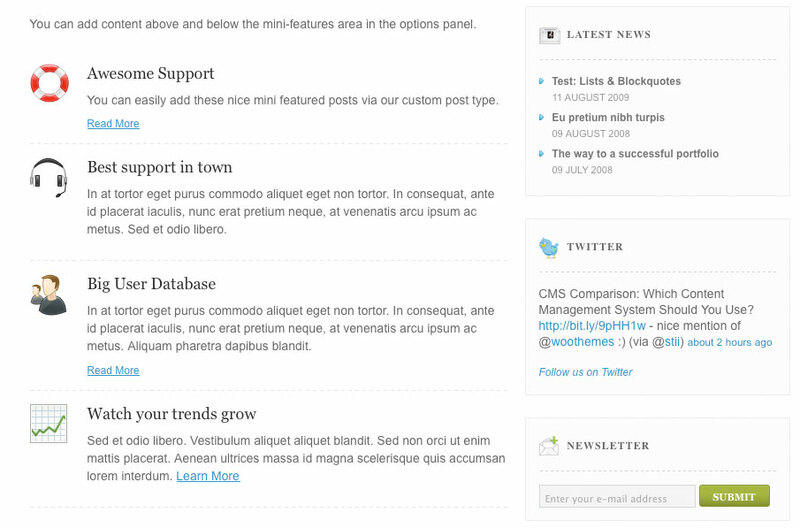 Custom Woo Widgets for use in the sidebar and in the widgetized footer: Twitter, Search, Latest News, Feedburner, Campaign Monitor, Flickr and Adspace.